Our skills sharing programme connects your skills to other’s needs. For every hour you spend helping someone, you will get an hour of help in return. Join us and swap skills. Drop into our coffee afternoon every Tuesday, 1-2pm in the Connection Zone. Our service is open for all and free to access. If you’d like to become a member please contact us or come along to a coffee afternoon. 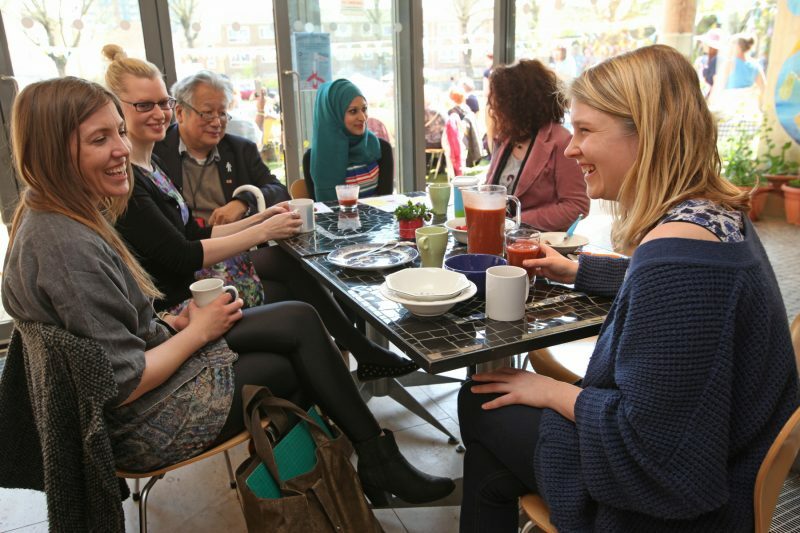 Our East Xchange skills sharing programme connects your skills to other’s needs, using time as a kind of currency. For every hour you spend helping someone, you will get an hour of help in return. Skills that are shared can be anything, but examples include: helping someone with their garden, running errands, sharing your cookery or DIY skills or helping someone to improve their English. We’re always looking for new, fun and interesting skills to add to our programme of activities. To find out more, drop into one of our coffee afternoons: every Tuesday, 1-2pm in the Connection Zone.